Risotto is a decadent way to incorporate some bone broth into your diet – without having to make a soup or stew! I keep frozen containers of homemade bone broth in my freezer for recipes like this one. Pumpkin also works well in place of the butternut squash. Cut squash into cubes, place in small pot filled with water. Boil over medium-high heat until easily pierced with a fork. Drain water and mash squash with a fork or mix with an immersion blender until pureed. Add bone broth to pot and warm mixture over low heat. Meanwhile, in a medium-size pot, melt butter over medium heat. Add green onions and rice, tossing to coat rice with butter. Add white wine, garlic salt, thyme and rosemary. Stir until wine is absorbed into rice. Use ladle to add warm squash-broth mixture to rice, little by little. Stir between each addition, making sure liquid is absorbed before adding another ladleful. Continue this process for ~15-20 minutes. Once all of the squash-broth mixture has been incorporated, stir in parmesan cheese before serving. 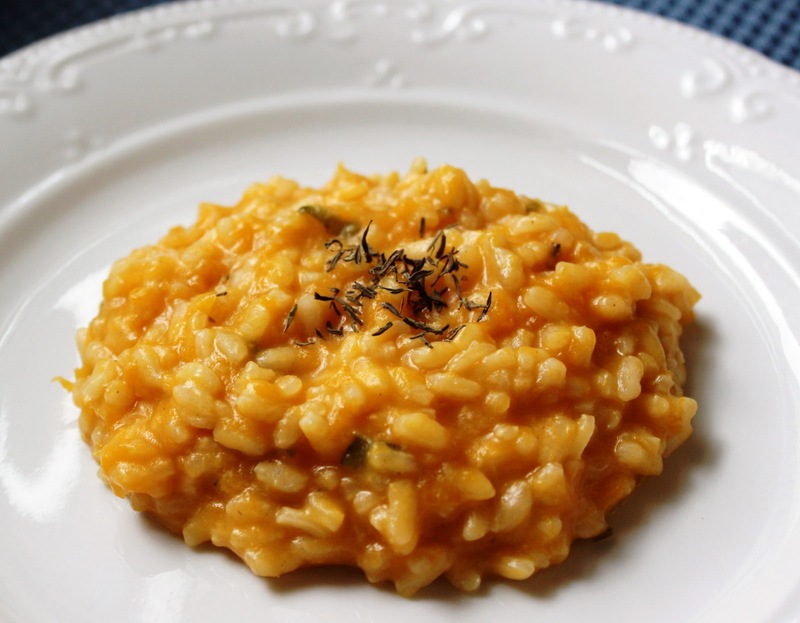 Great looking and healthy risotto!